Water a drink selection for anytime is to include Branded Mineral and Carbonated water. “Water for here is to come” (in a glass with ice and a napkin. Thanks.”) Water can be purchased by the bottle or can. It may be flavored; these flavors, even when enhanced with vitamin-and-minerals, have added sugar, and therefore calories. Water could be provided tepid from the tap, bottle, or a pitcher. Water is to be served in a real glass, “for here,” for class. Stemmed glassware is to be used for night tableware. It can be used for bar-ware. Yes, water may be provided in a 16 oz Ice Tea/Claret glass. In public, you can ask for a cup for water, and then if necessary a cup for ice. Ice water can force the body to burn energy to get it back to warm. Ice cold water can be contained in a real glass pitcher, and or in chilled glass bottles. Each may become your signature item. Water can be chilled in recycled 1.5 liter wine bottles with a cap. I have six cold water bottles that can be stored up or on the side. One is chilling in the refrigerator now. The labels can be removed by soaking each in water or white vinegar and then scraping each off. The residue glue may be removed with a spoonful of peanut butter being allowed to sit on it until it loses its grip. Then the rest could be removed with the blade of a place knife. A little vinegar can be stored in each empty bottle until required to store water, during pipe breaks, installations, repairs, or for that awesome party. Grains as a snack or as cocktail food can include. Baguettes can be used as crusted bread for snacks and trays. I have baguettes sliced, first into fourths, then have two fourths sliced lengthwise and two fourths sliced widthwise. For this, you may use a Rustic baguette. Baguettes have a GI of 95, until you put butter, oil, or fat on it. Informal breads can be used at the dinner table. It is not etiquette. Informal buns are made for burgers and franks and sliced bread is for breakfast and sandwiches. White bread has a GI of 73, until you put fat on it. Oil your grains. Still to make someone remember this as a treat you have got to do something awesome with the sauce or the meat. Seasoned croutons can be served as a snack or as a cocktail food. Manaesh, Mardoc, Naan, and Tandoori. Each can be served with cocktail foods, as can others you already know. Pita may be used as bread or chips for dips and spreads. Each can be sliced or quartered. You can serve pretzels, rye, and sesame flatbread, or sticks of bread. Learn the wonders of hard bread: French, Tuscan toast, Black bread, and toast cut outs, etc. Let each person tear off a piece of bread from a loaf, or if you would like, at the bakery have it sliced. Breads can be cooked or topped with Bruschetta Sauce or Salsa. A breakfast bread, corn muffin, oat bran muffin 5.2gfc or popovers can be served with coffee. Note: baked grains can contain transfat. How would know? If you bake or buy a grain product today and tomorrow you do not have to throw it away, it probably contains transfat. “Breads can stay fresh longer in a frozen state. A slice of frozen Bread will thaw in about five minutes.” Thanks Robin. Stale bread is how Croutons and bread pudding were born. You could serve whole wheat crackers, or some kind of grain of choice as a signature cracker for cocktails, cheese and crackers, or cheese and egg canapés. And yes everything can fit better on a round cracker. You can mix crackers to be Sociable. Saltines crackers are for soups or for when you are at home alone. You may elect to up the fiber with a Trisk. Do everything to avoid serving cracked crackers, when you can. You could snack on seasoned croutons. Air popped popcorn can be made as cocktail food served warm, and lightly salted with nutritional yeast and or buttered with coconut oil. Popcorn can be made by micro-wave and served; it just needs to be popped outside of that bag 3.5gfc. Popcorn can be made with cranberries, nuts and seeds, and or jalapenos. Corn can come cooked in cans, and served with a bean can make a complete protein. Cous Cous is cooked by steaming and takes five minutes to make. Then you can eat it as a plain side or mix it with veggies and nuts and beans and stuff. You can make and eat rice or wheat noodles. You may get each from most any Asian restaurant as a side “To go.” There is a place that for two fingers up you can get a portion or rice free. “Cooked white rice has 0.2% fat and a GI of 64; a meal of white boiled rice, grilled hamburger, cheese, and butter has a GI of 24.” You can top any grain off with a good fat, and reduce the glycemic index of it. Try it. Oil your grain. Where there is a grain there you can add a legume such as green beans, hummus, peanut butter, refried bean dip, or refried bean dip hummus, and get a complete protein. You may add either of these to a nut or seed and get the same thing. Each can be topped with vegetables and steamed for the last four minutes of cooking. For each complete protein where there is no green, you can serve something fermented. Here it can be a form Olives, peppers, or Greek yogurt. With each base the fermented something can be a fish sauce. A fermented item here may be fish. It may be topped with a salsa. Again, why would one eat (a grain) without a legume, or nuts and seeds, and miss getting a whole protein? Grains can be cooked or topped with Bruschetta Sauce or Salsa. You can omit doing any of this if you really do have a heavy plant based diet. When is the last time you ate one and a half – three cups per day of greens. Pizza is not a snack. It is an incomplete part of a meal plan. Pizza is to be served from a platter to a plate with sides. Informally Pizza is to be served from a Pizza pie stand, on a platter (albeit cardboard) or one taken out of a box, every boxed pizza box used to come with one. And it is to be served to a plate placed center each place setting. It can cost more than a traditional main course. You can get a pizza stone, no rise dough, no cook sauce, hummus or tomato, some toppings of choice, and every eight to ten minutes make a thin crust one of your own. A pre-made one can be made crisp by being baked while placed on a stone or tortilla frying pan. It may be reheated in a microwave. Pizza is a grain and still needs sides, preferably one that is a legume. It can be made with hummus as its sauce or served with hummus as a side. Pizza can be topped with salad: fresh or sautéed arugula, cherry tomatoes, cut in half, and drizzled with extra virgin olive oil. It can be topped with seeds, seasoned croutons, garbanzo beans, vegetables, and or with protein bits. You may serve a Fruit salad of melons and other cut up fresh fruits with pizza. You could serve a great soup (casually in a mug,) with or without being topped with oyster cocktail crackers. Pasta with a healthy sauce might be served with it 6gf. It may be angle hair spaghetti. Pizza served alone can be a snack or a cocktail food. It may be cut into small squares or 3” round sliders cut in half and plated as such. Pizza squares, (crust) or bread sticks may be served with hummus as a side or dip. Get a pizza slicer. Get a picnic basket; keep in it an Italian Love Me Kit. Share the contents and a complete protein or meal with friends. Tortillas can be served as snack or a cocktail food. A tortilla is essentially a food wrapper. A wrapper when seated is to be used as a plate. Tortillas are essentially bread that is made of fat cut into stripped wheat flour that is served half done. When hot items are placed inside it, it starts to return to goo. Mexican flour tortillas have a GI of 30. Still Wheat is to be fully cooked. Yes, they know, that is why it is cooked when you order a Burrito bowl. You could open up your Grande Burrito. Use a knife and fork and enjoy the inside. Get out the good stuff, and then decide if I want to eat that gooey flour, that is left on your plate. You can leave it there and stay thin enough to enjoy your date. You can use your Tortilla as bread. You may order a corn tortilla instead. Tortillas were traditionally made of corn. Engine search this. Love cooked corn tortillas, chips, and corn chips with or without dips. A Burrito is a meal wrapped in a tortilla. Burritos are foods for a working man on the run. Each used to contain only one item and was a whole lot smaller. This may not be frugal; now, for the cost of a meal with one, you can buy a whole cooked rotisserie chicken, and some sides. The same can be said for any burger. Still there is that place for a tortilla as a grilled quesadilla. Each can be stuffed with turkey and brie, shrimp & pesto and mushroom and goat cheese, or chicken and cheese, sliced in wedges and served with salsa. This is frugal – kinda. Waffles can be served as snack or a cocktail food. Waffles might be warmed up with an in place toaster. Waffles are for toasting but are also fun eating. And waffles can be stored frozen. Breads thaw within three minutes. Each can be cut in squares, toasted, topped and served with cocktails. Waffles for a breakfast party, a holiday event, or for a romantic date can be made with a box mix for Red Devil Cake. On celebration days waffles may be made with pasty flour. peanut butter, peanut butter and bananas, strawberries and white powder sugar, and later, you may serve waffles topped ice cream and some seeds or nuts. Friends can bring the toppings and be asked to Bring Your On Brown Bag: BYOBB: for the drinks. All rights reserved, including the right to reproduce this book, or parts of it, in any form, except the inclusion of brief quotations in a review. To Ms. Anne: Mom, because of you, dining still has style. To Julie and Janet, thank you for your master eat to defeat list that allowed me to buy and eat frugal foods that were good that I could still serve stylishly. To eat to defeat the belly hunger in me, and to enhance the appeal of what I see, I have added just a bit, to match My Palate®. 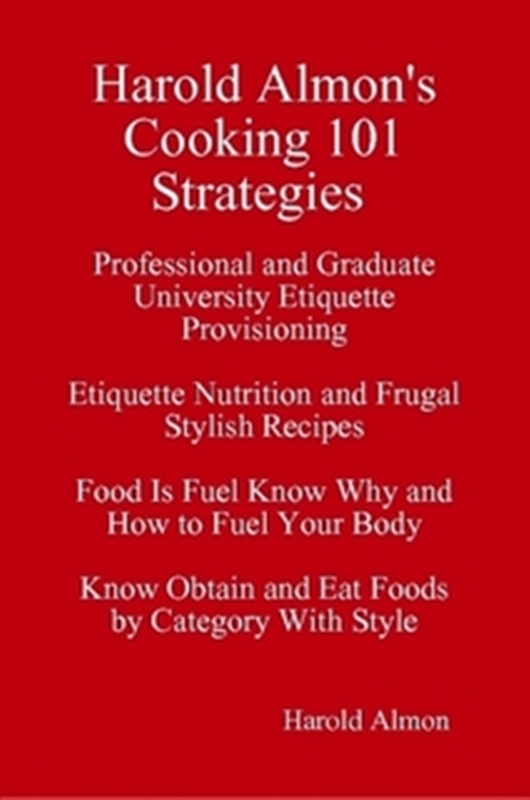 Janet thank you for letting me listen to you as words about food rolled out of your mouth and onto what has ultimately become the My Palate® Almon-Hitt list on which this book is based. I had to know My Palate before I could Meal Plan My Plate ®. Thank you Ray for letting me watch you shop, for sharing food insights and nuggets about what you add to standard recipes, and allowing me to set tables and serve and eat foods you make. Damn good stuff. 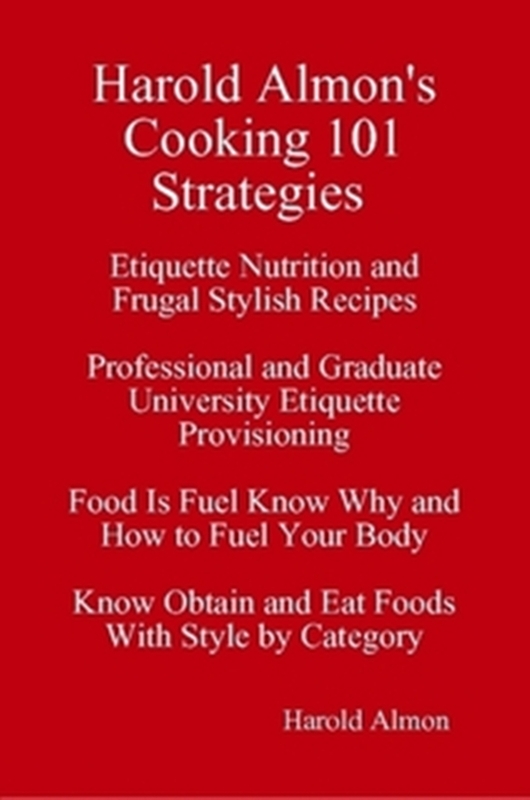 Welcome to a world of Frugal Foods and Stylish Recipes: a world where everything is presented to elevate your sense of sophistication, choice of food selection, and in consideration of your wallet. 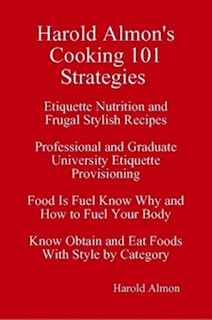 Frugal Foods and Stylish Recipes Cooking 101 Strategies for Young Professionals and University Students Food Is Fuel Know Why and How to Fuel Your Body Obtain and Eat Foods With Style On a Dime. Welcome to a world where everything is presented to elevate your sense of sophistication, choice of food selection, and in consideration of your wallet. 1. The rule has always been, more than, “Saving money while obtaining food can be fun.” The best part is it allows for obtaining it in style, and giving back: sharing it with someone. 2. 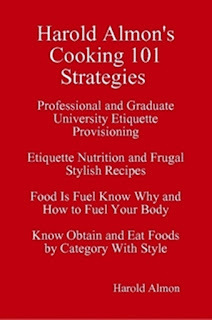 Stylish recipes are a way to say, “Welcome to the neighborhood,” and that, “I would like to share a meal with you, and reciprocity: you to share a meal with me.” Frugal food selection and creative preparation are what is best done for such occasions. Both can be done with flair, distinction, and consideration of your guest and your budget. You may enjoy each as a reason why each person accepted your invitation. Before there is a need to say, “Hello,” let us begin. Caesar salad can served alone or as a pizza side. It can be found ready to make from a kit. Recipes for Caesar salad may be obtained from the Internet along with one for Insalata Caprese. Informally, you can served mixed green salad, (w/o sliced or diced tomato), or Hail Caesar, if you know how. A Caesar Salad is to be made (w/ Romaine lettuce, shredded Parmesan, and croutons, and a classic Caesar dressing.) It can be more of a meal salad. It goes well with pizza. Pizza in squares may be served as a side to this salad. Remember salad can be topped with protein bits, seasoned croutons, and or seeds, and be provided with signature crackers. When a guest is to be at table a water glass is to be set at each setting. In a private home, each water goblet is to be filled ¾ full prior to the time people come to the table. In a commercial dining room, water is to be served after people are seated. At a banquet, each water goblet is to be filled ¾ full prior to the time people come to the table. In a private home, the water glass can be refilled at the table, by a server, or guests from a pitcher on the table, or the hostess can offer it from a pitcher on a sideboard. In a commercial dining room, the water glass can be refilled by a server without being lifted from the table. The water can be chilled in old wine bottles with labels removed and served in the same. Water chilled in wine bottles with a screw cap may be decanted into a water pitcher. In a home water is pre-poured. In a commercial concern, pour the water. Bread is not a first course. Bread is to be at a meal as a sign of hospitality. Bread served at or to a dinner table is to be crusted: a biscuit, a bun, muffin, or a roll. You can buy microwaveable frozen dinner breads. (You can buy as few as four.) You can serve whole wheat bread. That being said, you can learn to make or where to buy or get good corn bread. Bread can be placed center a place setting on or underneath a folded napkin. It may be placed on the bread and butter plate. It could be placed unbuttered on a tablecloth. Bread served as a loaf is to be the only bread cut at table. The host can grasp with a clean napkin and cut it in. One cut half is to be turned, and from the large side a few thin slices are to be cut. Bread is to remain at table until the correction of it: just before serving dessert. A bread holder, basket, or tray is to be used to hold bread that is to be passed. It is placed on the table where space allows. Butter is to be served in a butter crock with a butter knife (with a point) set on a table without an underlying plate. A butter knife is to be used to serve butter to a plate. At a banquet, butter can be cut and shaped. It may be whipped with or without ice and a dollop placed on a bread and butter plate. Butter may be whipped with a spice such as garlic added to it. Bread and butter plates are omitted at a truly formal meal. Butter is to be omitted from this service. Appropriate Breads can be served. Butter for cooking can be unsalted. For frugal spices you can start with three of four that make a cooking holy trinity: makes all things taste better. Learn the health benefit of each spice, by engine search. 1. Bell peppers – each can be cut when you are ready to use, or precut and stored where each can get some air. 2. Celery: can be pre cut at home or at the store. 3. Carrots: can be precut and made ready and stored in air tight containers. 1. Onions, 2.Celery and 3. Carrots can be pre-chopped up, stored and covered in air tight containers, and used as a mirepoix in a ratio of 2:1:1 when needed. Crushed red pepper. It may be a guy thing. You can add Garlic, with/or without adding Onion (dehydrated or freshly minced/chopped.) Learn about the uses for Yellow Onions, (Scallions, and shallots. White onions are for burgers. Look up uses for Soy Sauce. I do not use this, if you want, you can add to your list. You will know when to stop. Know when you can use spices. There are other courses to serve in which to use spices besides soup. Pizza is not a snack. It is too large for that. Pizza is an incomplete part of a meal plan. It is to be served from a platter to a plate. Informally Pizza is to be served from a Pizza pie stand on a platter (albeit cardboard), or on one taken out of a box; every box pizza box use to come with one. And it is to be served to a plate placed center each place setting. It can be topped with greens, cherry tomatoes, and drizzled with extra virgin olive oil. It may be reheated in a microwave. It can be cooked or made crisp by being baked while placed on a tortilla frying pan. Pizza can cost more than a traditional main course; it is primarily a grain and still needs sides, preferably one that is a legume. Salad can be eaten as a pizza side. Tomatoes and cucumbers alone, or added to lettuce can be served as a side to pizza. Each can be topped with broccoli, garbanzo beans, protein bits, seeds, and or seasoned croutons, and provided with signature crackers. Pizza may be served with a fruit salad of melons and other cut up fresh fruits. You could serve a great soup (casually in a mug,) with or without being topped with oyster cocktail crackers as a pizza side. Pasta might be served with a pizza. It may be angel hair pasta served with a healthy sauce. Pizza could be served as snack alone as a cocktail food cut into small squares or as 3” round sliders, which also can be cut in half and plated as such. Pizza squares, (crust) or bread sticks could be served with hummus as a pizza side or dip. Get a pizza slicer or slider cutter. Get or make an Italian I Love Me Kit. Share the contents of it with friends, and a pizza as a complete protein or as part of a complete meal plan. Tortillas can be served as snack or a cocktail food. A tortilla is essentially a food wrapper. A wrapper when seated is to be used as a plate. Tortillas are essentially bread that is made of fat cut into stripped wheat flour that is served half done. When hot items are placed inside it, it starts to return to goo. Wheat is to be fully cooked. Yes, they know, that is why you may order a Burrito bowl. You can use your Tortilla as bread. You may order corn tortilla instead. You could open up your Grande Burrito. Use a knife and fork and enjoy the inside. Get out the good stuff, and then decide if I want to eat that gooey flour, that is left on your plate. You can leave it there and stay thin enough to enjoy your date. Tortillas were traditionally made of corn. Search engine this. Love cooked corn tortillas chips and corn chips with or without dips. A Burrito is a meal wrapped in a tortilla. Burritos are foods in wrapping for a working man on the run. Each use to contain only one item and were a whole lot smaller. This may not be frugal. Now, for the cost of a meal with one you can buy a whole cooked rotisserie chicken, and some sides. The same can be said for any burger. There is still that place for a tortilla as a grilled quesadilla. Each can be stuffed with turkey and brie, shrimp & pesto and mushroom and goat cheese, or chicken and cheese, sliced in wedges and served with salsa. This is frugal – kinda. ½ teaspoon Cumin – and you have got Hummus Plus. You may add a tad or two (up to a cup) of water to it. Want more take the recipe and double it more or less. Place in serving bowl. Optionally, you can create a shallow well in the center and add (1-2 tablespoons) of olive oil in the well and garnish with paprika or parsley. You may refrigerate this for 2-3 days. Refried Beans purchased pre-made in a can. Place beans in chopper and mix for three to five minutes. Add spices and peppers as you like, and you get Bean Dip, or Re-fried Bean Dip Spiced. Make bagels and bean dip or bagels and hummus dip. Both can be topped off or dressed up. Add pita bread cut in squares and used as a chip; a legume and a grain make a complete protein; this can be as frugal as it gets. Peanuts may be served as a cocktail snack (R). Note: peanuts are legumes, but you just look for them to be among the nuts. You can fill the need for these with Peanut butter. Natural peanut butter can be stored top side down. Chunky or Creamy Honey Roasted Peanut Butter can be used alone or as a base for an open face peanut butter and bagel, bread, or crisp sandwich. Each can be topped with organic apples, bananas, peaches, pears, or strawberries. Honey roasted peanut butter may go on a grain chip, cracker, pretzel, or on celery as a cocktail food or snack. It can be topped with nuts or seeds. I have not tried it yet on a carrot. Mini bagels with Peanut butter and fruit: apple slices, bananas, and or raisins can make a snack. You could make Peanut Butter (low fat) Yogurt Dip to be used as a fruit dip, especially for sliced fruit. For each of these you can get a proper dipper. You can get a separate jar and spoon for each guest; you know who you are and what you do alone. You could serve it with cut fruit or cookies. .
For the most part, these are natural complex sugars. Legumes and soymilk made from soy beans contain naturally occurring vitamins and minerals and are considered more nutritious than refined sugars or processed foods. Other natural foods that contain complex sugars include dairy products like low fat yogurt and skim milk, rice milk, fruits, grain products, and vegetables. Garlic and ginger can be used in dishes with legumes to help ensure that there will be-no-gas or to help dissipate what develops of it. You can peel ginger with a spoon. Vegetable can be served as cocktail food or as a snack. Note: "about 1 in 5 illnesses were linked to leafy green vegetables — more than any other type of food." You can spray your produce or work surface thoroughly first with vinegar and then with hydrogen peroxide. Then rinse the produce under running water or wipe the surface with a clean wet sponge. In foreign countries 5 drops of chlorine per gallon of water are used to dip vegetables in for five minutes to kill field bacteria, and then the produce is thoroughly rinsed. You can omit this practice,and just ensure your vegetables are thoroughly rinsed. Once washed, get out a separate cutting board or pad for cutting your vegetables. Flash Frozen can be a less expensive way for vegetables to have their stay. Vegetables can be served baked (as a Tian,) grilled, marinated, steamed, or stir fried. ½ teaspoon Cumin – and you have got A & B dip plus. Want more take the recipe and double it more or less. Place in serving bowl and garnish with paprika or parsley. You may refrigerate this for 2-3 days. Get a Soup Starter kit. From it you can make a plate or tray raw vegetables. When raw vegetable are served as a cocktail food they are called crudités. Vegetables can be shocked with color and cut with character. Start with placing all vegetables in icy water in a large bowl. Broccoli may be blanched by dipping the whole head into a pan of boiling water. Remove it when it starts to turn a darker green. Place it in another pan of icy water to stop the cooking process. Drain it and then cut or break it into little floret. The blanching process can be omitted, but you are going to miss the added color. Cauliflower, Jicama, and radishes can be used as a cocktail food or as a snack. Cauliflower is to be cut or broken into floret. Radishes may be cut at the top, bottom, and at a small section of each side for effect. Then beginning at the root end cut each stopping just short of halving it, turn one quarter and perform the same step. Drop these four wedge radishes in icy cold water, the longer in, the more each will start to look like a flower. All vegetables are to be kept in water until it is time to drain and place each on a tray. Crudités may be used as the dipper for a dip. On a meal plan, you can practice making a plate or tray of crudités from a salad bar. How frugal is this, the left over vegetable bits can go into the R.
If you are pushing it to each tray you may add some fruit: peppers and cherry tomatoes. Yes these items are items listed in places as red vegetables, (but they are really fruits.) But here we have just used them in the crudités. Cucumber skins can be scored, and then cucumbers cut in rounds no longer than one eighth of an inch. Cucumber slices and olives can top off the fruit mix, and the tray can be completed with some fungi: whole mushrooms. To make an Antipasto tray from your vegetable tray you can add dry salami, hot salami, Salmanetti, or Pastrami. From a Soup Starter kit you may make an American Slaw. What to do: 2 c. shredded green cabbage, l shredded carrot, 2 finely chopped jalapeno peppers, 2 Tbsp white vinegar ¼ cups each of sugar and pepper can be mixed, allowed to marinate, and served. Add raisins and or bits of organic apples with the skins to this if you wish. Learn how to steam vegetables by microwave. Vegetables sliced or broken apart can be steamed, in a microwave allowed to rest or cool, placed in a container or on a plate or tray and served as a cocktail food or a snack. Each can be steamed while sitting uncovered up on rice or R. noodles in a microwave oven. Frugal tip: fiber binds with metabolized fat, can help you feel full, and then heads it out of the body. You can select vegetables first for the fiber, then for the color: the phytochemicals (fight-o-chemicals). Celery, Celery can be cut into strips no longer than three inches. Each stalk can be filled with cream cheese or with peanut butter and cut in sections and placed with crudités. Each can be cut and diced and used in a fish dip, or in a Mirepoix. Some places you can buy it buy the single stalk. When taking a blood thinner, you can avoid these. as a wrap, or as a salad. You can get it from the salad bar. It takes whole lot of leaves to weight ¼ pound. Romaine lettuce may be used to make as a salad. It is the one lettuce you could cut for chopped salad. Get a Prepared Salad. You can use most as a Soup Starter kit, and cooked each for twelve minutes as you would Ramen. You may save the good crisp parts to use as toppings. Turnips and their tops can be used for cocktail food. Spinach can be your accent leaf for cheese or used as a substitute cracker. Place signature crackers on it and add a large dollop of classic mustard and you are done. Cost less than it does to make a sandwich. Organic spinach can be used as a base for a dip as a wrap, or as a salad. Yes Spinach can be drizzled with Olive oil and used with crumbled bacon as a bed for chicken or beef. You can get it from the salad bar. It takes a whole lot of leaves to weigh ¼ pound. Carrots, each carrot can be cut on the bias into strips no longer than three inches and served as cocktail food, a dipper, or as a garnish. These may be supplemented with baby carrots which you can buy and may or may not cut in half. 12c 1c. Carrots are best eaten cooked. Each can be steamed atop rice or ramen. Each may also be served as a juice. (Squash) Yes it’s a fruit but it got listed in places as vegetables you need it the fiber. Summer squash can be each raw. Each can be sliced, and added to crudités, or diced and added to a salad or salsa. It may be sliced and grilled as a side. There are essential Red Vegetables: peppers, and tomatoes. These are fruits and as such it is in that section they are discussed. Cauliflower. Cauliflower may be used as a cocktail food. It is to be cut or broken into florets. As a meal item you could serve it mashed or as soup or a steak. Fennel (that you splice.) I put in here; it looks white. Garlic and Onions can be served caramelized, raw in crudités, grilled, or sautéed. Now that you have garlic you can make a Bruschetta Sauce: it can consist of petite diced tomatoes, basil and garlic. You may heat garlic (and onions) in the microwaves for 20 seconds for easy peeling. 3 Large ripe Tomatoes firm peeled seeds removed and chopped. *Cayenne hot pepper sauce, or not. The internet has lots of salsa recipes. Frugal tip: save your old large jars. You can make a lot of salsa and share it with friends, for almost nothing. You can use it on chicken turkey fish and chips. Wear gloves when handling the habaneros. 3 Large roasted tomatoes firm peeled seeds removed and chopped. You can engine search each salsa title and decide what else you can to add to or leave out of each. I use canned peppers, when I can. Roasting is cooking. And I do not do it. I would be remiss if I did not say something about Tofu – Tofu. Some like it. Enjoy it if yo do. It too is not a vegetable, but a legume otherwise called a bean curd. You can use yams and let watercress, round out your list. When raw vegetables sliced or whole are served as a cocktail food they are called crudités. Crudités may be used as the dipper for a dip. On a meal plan, you can practice making a plate or tray of crudités from a salad bar. How frugal is this, the left over vegetable bits can go into the (*R.) If you are pushing it, to each tray you may add some fruit: olives, peppers, and cherry tomatoes. Yes these items are listed in places as red vegetables, (but they are really fruits. )You might top off the fruit mix, and complete the tray with some fungi: whole mushrooms. Still, we just want to use them with the crudités. Practice making plates and trays, and dips of choice, share them with and get feedback about them from friends, who are told that trial and error offerings is what each is eating. Get a Soup Starter kit. From it you can make a plate or tray of raw vegetables. Practice making plates and trays, and dips of choice, share them with friends. and get feedback from them. Tell them that trial and error offerings are what each is eating. Learn how to steam vegetables by microwave. Vegetables sliced or broken apart can be steamed, in a microwave allowed to rest or cool, placed in a container, or on a plate or tray, and served as a cocktail food or a snack. Each vegetable can be steamed while sitting uncovered on rice or R. noodles in a microwave oven during the last four minutes of cooking. Flash Frozen is the less expensive way for vegetables to have their stay. You can drink your vegetables. Get your daily does of vegetables from juiced or pureed produce; unless you grow your own, this may not be too frugal. Drink your vegetables. You can juice and drink your vegetables; green juice may be what you need to get your boost. For a recipe you could engine search green drink and Oz. I could not say doing this is frugal. But when you get to where you can, this is something you might want to do, say every other day, or one day a week. Vegetables are considered food concern free, mostly; each is to be eaten in a food combination. Vegetables eaten alone can keep you hungry. You can pickle your vegetables, or buy them that way and carry them with you. Vegetables pickled or topped with vinegar may aid in reducing high Glycemic effect of other foods, reduce dietary spike, and aid in elimination or yeast infections. Something fermented used to be a part of each food course, except dessert. But then for those who bake there is vinegar cake. Have the Chili first; better to eat fish with chili, or chili fries (cheese on the side) and crackers, soup, a torte, quiche, or to get a boiled egg than to load potatoes with high fructose corn syrup ketchup or a baked potato with dairy. with coupons, and when you can get a clear “value drink” or tea the refills are generally free. The same can be usually also true, when the drink is black coffee. Frugal tip: 1) Eat open face sandwiches. Sure you can and do. You just called them pizza. Get to see what you eat, and get full faster. The other grain you can leave on your plate or when eating alone it can be taken with you. Frugal tip: 2) Soy mock meat is under review, better to eat it I am told, if you started at two years old. Starting after puberty, what it does to you is still a mystery. Protein can take up to 10 percent of your 2000 calorie intake. Calories 2000 times .10 percent 200 calories from protein divided by 4 kcals p g. Total Protein 50g. Animal protein (meat) need only be a portion of that. 1) Eat meat one day a week. 2) Eat meat say every other day. 3) Give up meat one day a week. Make your choice your treat. For food categorization eggs are listed with dairy. I call eggs petite meat. You can have two every other day. If worried about cholesterol, maybe have one. Petite meat could help get and keep you skinny. Recommended portions of meat might help you combat fat. You can order a Now and Later Combo. Get a Double Meat Combo to go, split it in half; eat half now and the other half later. Use a coupon; get a Free meat item with the purchase of another; that is the ultimate in obtaining fast food animal protein. You still need low Glycemic sides. And enjoy that pickle. In the other extreme so say eating meat alone can make you lean. Imagine that meat as a way to lose meat. In that zone, ask you doctor if you should watch for keytones.